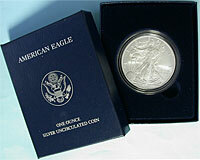 American Silver Eagles are by far our most popular one ounce silver coin. 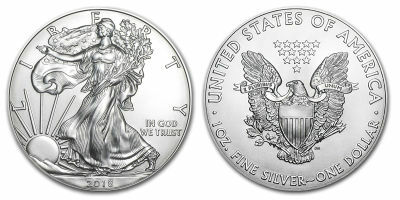 The obverse uses A.A. Weinman's Walking Liberty design, first used on half dollars made from 1916 to 1947. Prices on bullion-related items refresh every ten minutes to reflect changes in the precious metals market. 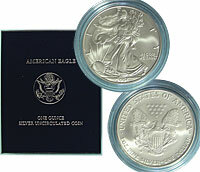 Before you checkout, please review the prices on bullion-related items because that is the price you will pay! With Mint box and papers. 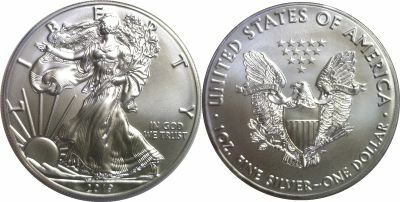 Reverse of 2007. Burnished finish.